Arowogun d’Osi-Ilorin, Door from a Chief’s House (detail), c. 1920. Museum purchase. © Arowogun d’Osi-Ilorin Estate. 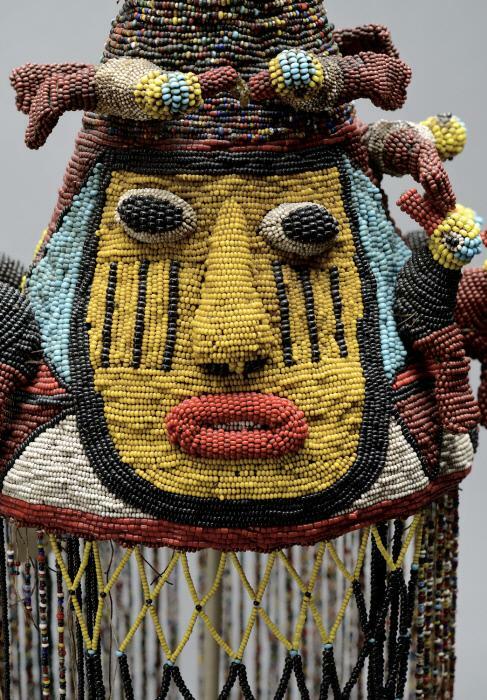 The Arts of Africa Gallery presents many of the museum’s best masks, figural sculpture and beadwork from Liberia, Nigeria and other parts of the African continent, including works from the renowned George Harley collection. Baule peoples (Côte d’Ivoire), Seated female figure (blolo bla), 19th-20th century. Gift of Andrew and Vera Laska. The African collection includes over 700 works that highlight various traditional art forms from across the African continent. The works were produced in the nineteenth and twentieth centuries, and come from regions south of the Sahara desert, predominantly West and Central Africa. It is a diverse collection, including masks, ritual sculpture, devotional objects, bodily adornments, and utilitarian items. The majority of objects in this exhibition were acquired in the 1960s and 1970s by travelers and collectors. The predominance of masks and ritual sculptures reflects the taste of American and European collectors at that time for naturalistic representations of the human body. 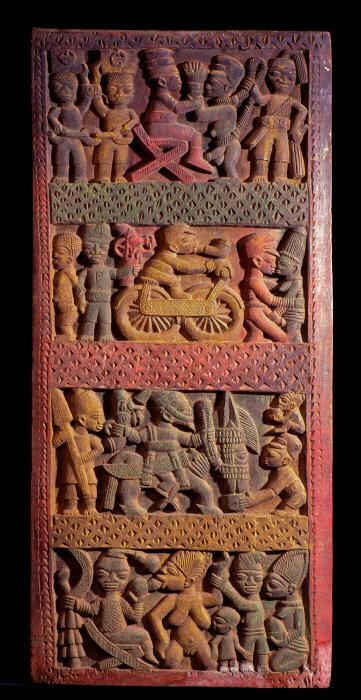 The utilitarian objects demonstrate African artists’ skill of embellishing the decorative elements of functional items, such as a carved door or headrest. Roughly one-third of the objects in the African collection were acquired in Liberia between 1930 and 1960 by American medical missionary Dr. George W. Harley. 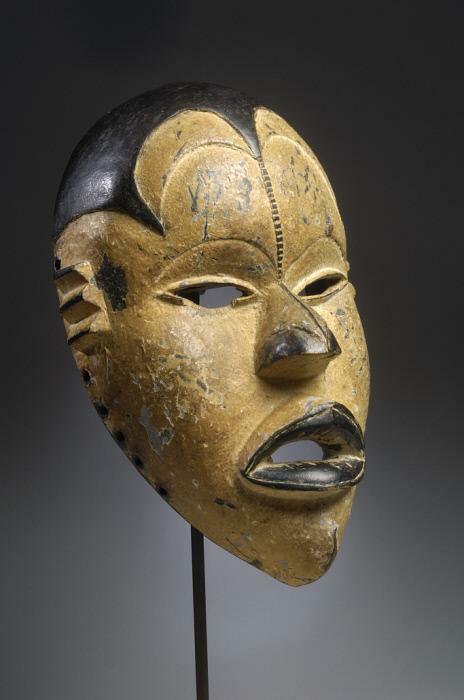 A graduate of Duke University, Dr. Harley assembled one of the most important collections of traditional Liberian masks and artifacts that are distributed today across several American museum collections. Many of the works from the African collection are on view for the first time since the Nasher Museum opened. Special thanks to Christopher B. Steiner for his assistance and research on this collection. Areogun of Osi-Ilorin, Door from a chief's house, c. 1920. Pigment on wood, 66 x 30 x 2 3/4 in. (167.6 x 76.2 x 7 cm). Museum purchase. Unidentified Culture, Mende peoples (possibly), Sherbro peoples, Kpelle peoples, Poro Society Mask with Skull Cap, n.d.. Wood, pigments, 10 x 6 x 3 1/4 in. (25.4 x 15.2 x 8.3 cm). Gift of Andrew J. Laska and Dr. Vera Laska. 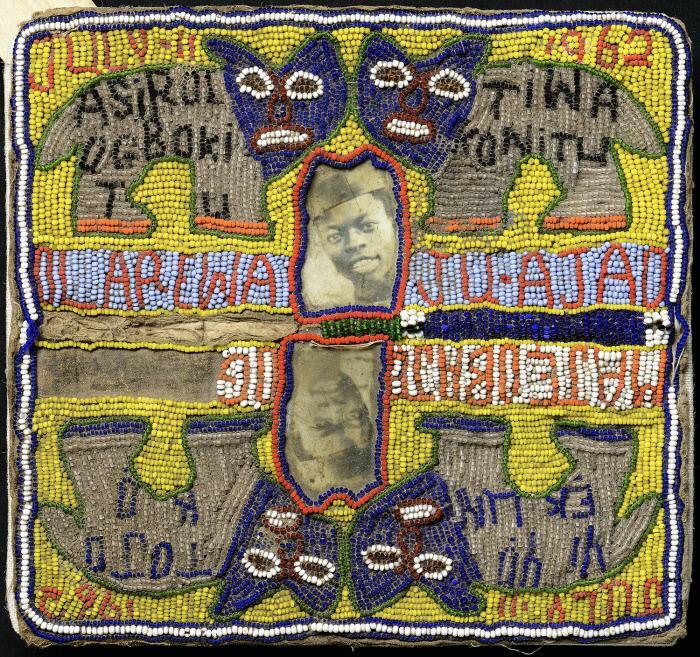 Yoruba peoples, Beaded memorial panel (ibeji), 1962. Cloth, glass beads, leather, and photographs on paper, 8 11/16 x 4 1/8 x 3/8 in. (22 x 10.5 x 1 cm). Gift of Mr. Sherwin Bash. Yoruba peoples, Ceremonial crown, 19th-20th century. Beads and leather, 13 3/4 x 8 in. (34.9 x 20.3 cm). Gift of Dr. and Mrs. Edward Last. Slideshow of pieces within the Arts of Africa Gallery.